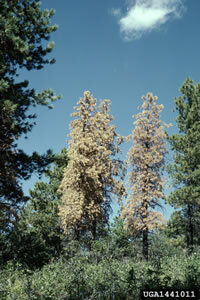 STANLEY, Idaho — The lodgepole pines are dying. 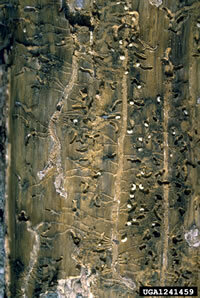 Inside the bark of the trees, tens of millions of beetles are tunneling, birthing, hatching, maturing. In early May, when Forest Service researcher Jesse Logan drives through the Stanley Valley to inspect the damage, more than half the lodgepole pines display dull red foliage — the signal flag of beetle victory. This summer, says Logan, the forested slopes will glow a brilliant rusty orange. In just a few more years, these broad bands of mature lodgepoles will be nothing but weathered snags, their supplies of water and nutrients choked off by a beetle no larger than a fingernail. Mountain pine beetles are one of the most industrious members of the genus Dendroctonus — loosely translated as "tree killers" — and every outbreak confirms the aptness of their grim scientific handle. Michelle Nijhuis is contributing editor to High Country News. Intergovernmental Panel on Climate Change www.ipcc.ch.